I don’t know about you but I’m in the post holiday sugar withdrawal zone. I am craving sweets hard and wanting to eat non-stop. I hear so many people saying things like “In 2014, I’m not going to eat any more sweets, sugars, or bake anymore cookies!” While that’s admirable, I don’t want to give up all of that stuff. Fun food is an amazing part of life. It’s why this year I’m going to be devoting so much more time to finding clean and healthy alternatives and recipes. A while back, I created my own version of clean fudge. It’s so easy, so delicious (did I mention SO DELICIOUS) that you’ll be asking yourself why you aren’t eating this right now and always. 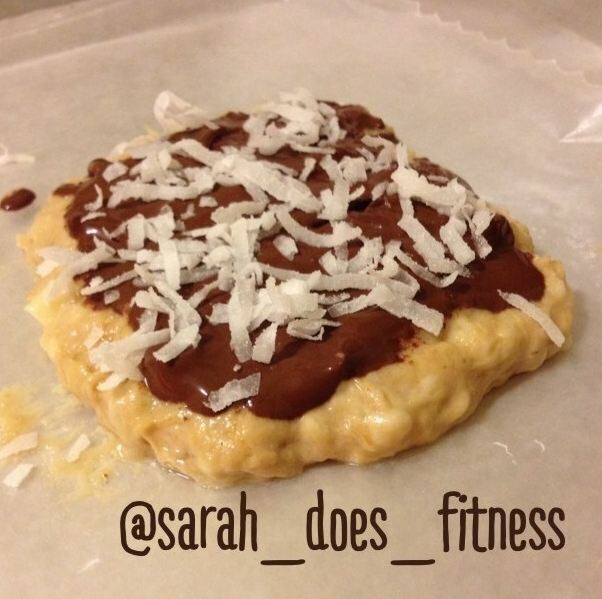 Banana Coconut Peanut Butter Chocolate Fudge!!! While freezing, in a small bowl, add 1 tsp of unsweetened cocoa at a time and small drops of water until you get a chocolate mixture. This will be poured over the fudge. Fudge needs to be eaten within about 10 minutes of taking out of the freezer, otherwise it melts pretty fast. But it can be taken out and cut into smaller pieces, put into a ziplock container and put back in for easy snacking. This is a great treat substitute for when you really want to go out for ice cream or are craving chocolate. 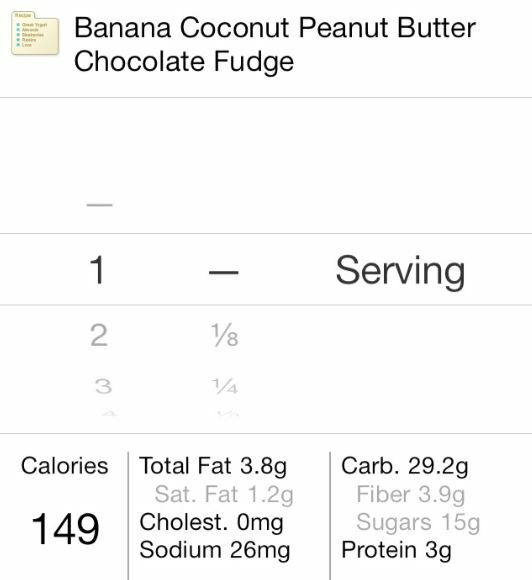 Plus, it’s super healthy and you can eat the entire thing and it’s only 149 calories!! I usually cut it into 4 pieces so they’re only around 37 calories each! Try it out and let me know what you think! I’m looking for ideas for other varieties, too, much with other kinds of fruit or nutella or almond butter.